Dewitt Mall, located one block north of The Commons, is a browser’s paradise. 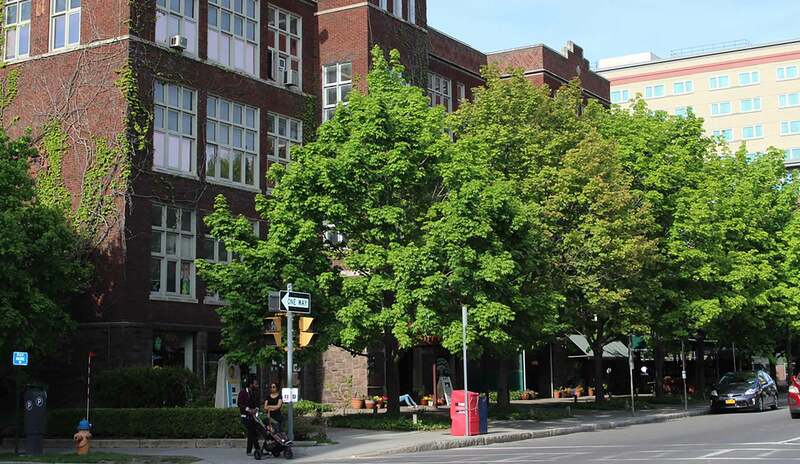 Simply walk north on Cayuga Street and you’ll find this historic, multi-level building that is filled with shops and dining. Located just one block north of The Commons is one of downtown’s long cherished treasures, the Dewitt Mall. 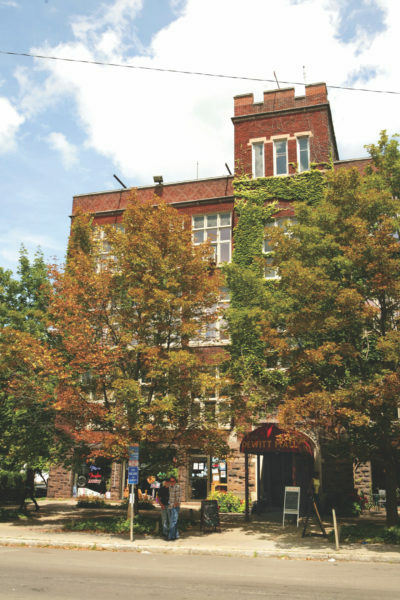 Simply walk north on Cayuga Street to find this historic, multi-level, multi-use building. This former high school building was originally designed by famed architect William Henry Miller and later transformed into a center showcasing an assortment of one-of-a-kind and independently owned shops including TOKO Imports, Ithacamade, Pastimes Antiques shop, an upscale salon Alkeme, acupuncture services along with two casual dining eateries, the world-famous vegetarian pioneer, Moosewood Restaurant and Cafe Dewitt, which is legendary for its weekend brunch (visitor tip: Cafe Dewitt is cash-only, but there is an ATM located around the corner in GreenStar). Moosewood Restaurant, one of the area’s pioneers for vegetarian and vegan cuisine, released its 14th cookbook, “The Moosewood Restaurant Table,” this year! The new cookbook, highlights new grains, gluten- and dairy-free, and plant-based dishes. This unique urban mall also includes two member-owned retail cooperatives, Buffalo Street Books and Greenstar Oasis Natural Foods. Additional specialty stores in the mall offer everything from modern toys at The Cat’s Pajamas, rare and hard-to-find books at The Bookery, hand-woven apparel at Fibers, home decor and ethnic carpets at Decorum Too, rare coins at Cayuga Coins, and brand name musical instruments at Ithaca Guitar Works. The shopkeepers and restaurateurs, many of them being lifelong locals, are sure to offer you a truly Ithacan experience! 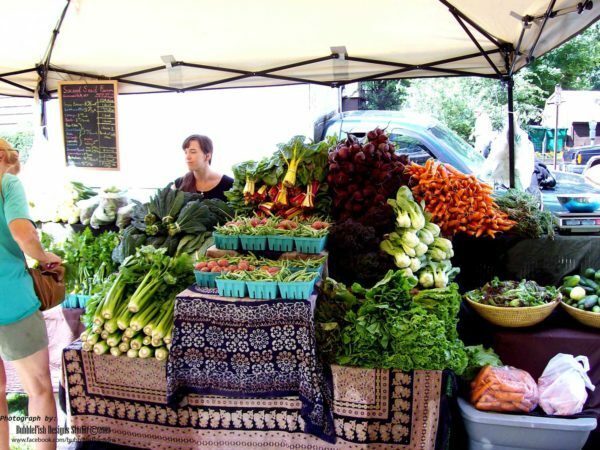 Market every Tuesday, where you will find fresh locally grown fruits, veggies, herbs, and organic meats.